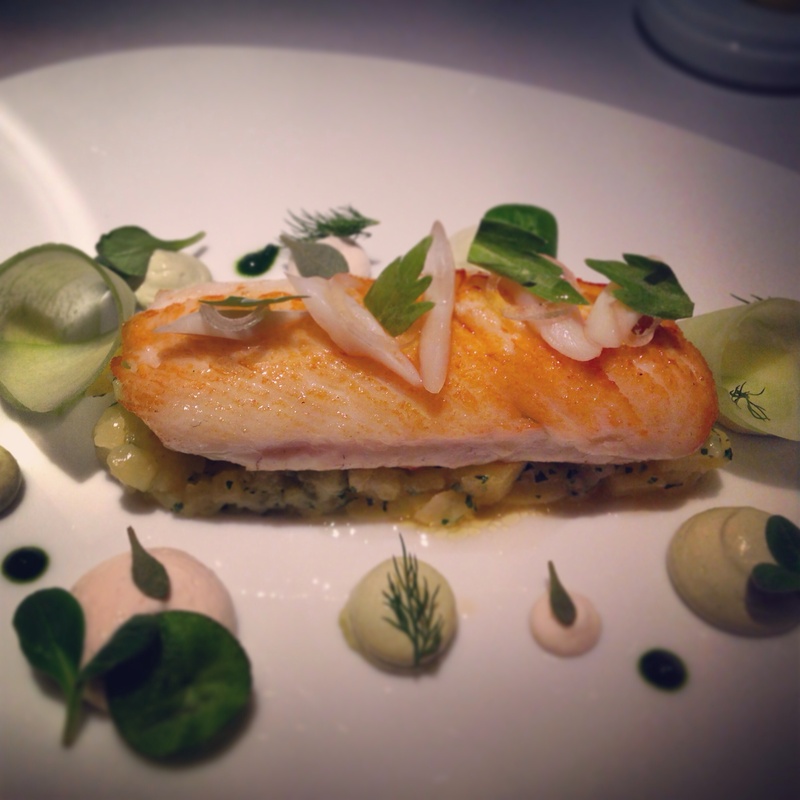 It was impossible to go to Restaurant Gordon Ramsay without expecting it to be a great meal. In this last twelve months The Good Food guide have scored it the perfect ten – one of only three in the country to score this – along with it being one of only four UK restaurants to be bestowed with the maximum three stars from Michelin. Everything was pointing towards perfection, though expectation is the root of all disappointment; the mother of all frustration. By building a pre-set ideal based on another’s opinion surely I was setting myself up for a fall. And then you push through the heavy door of the bijou building on Royal Hospital Road and all is fine. The greetings from an army of staff detract from its beige interior that borders between boring and serene. Here, amongst the four walls in loaded Chelsea, is a world where handbags require stools, toilet roll is pointed into triangles after every visit and French haute cuisine is King. Lets start with the bits before the real food arrives. 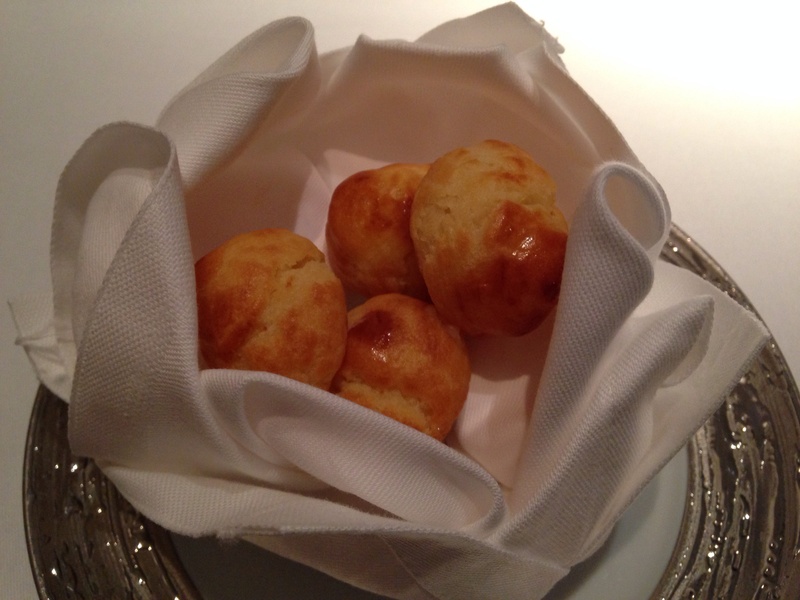 Excellent gourgeres disappeared from the basket instantly; the ethereal choux loaded with a cheesey bechamel that put shame to the ones at any of Ducasse’s restaurants. 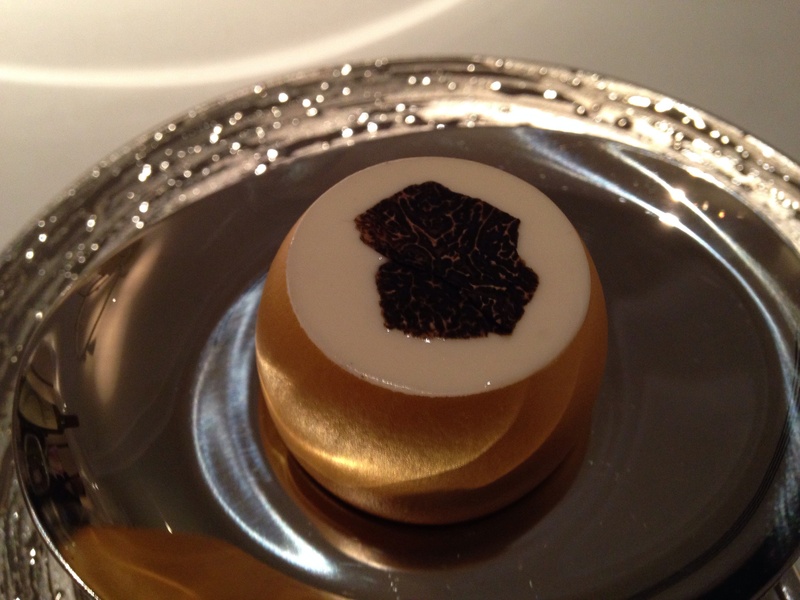 An amuse came in a egg shell precisely trimmed and sprayed gold – I pity whoever has this as a job. Inside a baked potato mousseline marbled with yolk and topped with a sliver of Perigord truffle that was both comforting and elegant. A fillet of plaice was sensational; the fish, still fresh and retaining its flavour, was enhanced by a pokey taramasalata, tender strips of razor clam and a beurre noisette, which proved that everything tastes better when basted in brown butter. Rabbit, a meat I seldom eat due to it always arriving overcooked, had a perfectly timed loin, seasoned by the salty bayonne ham it was wrapped in. 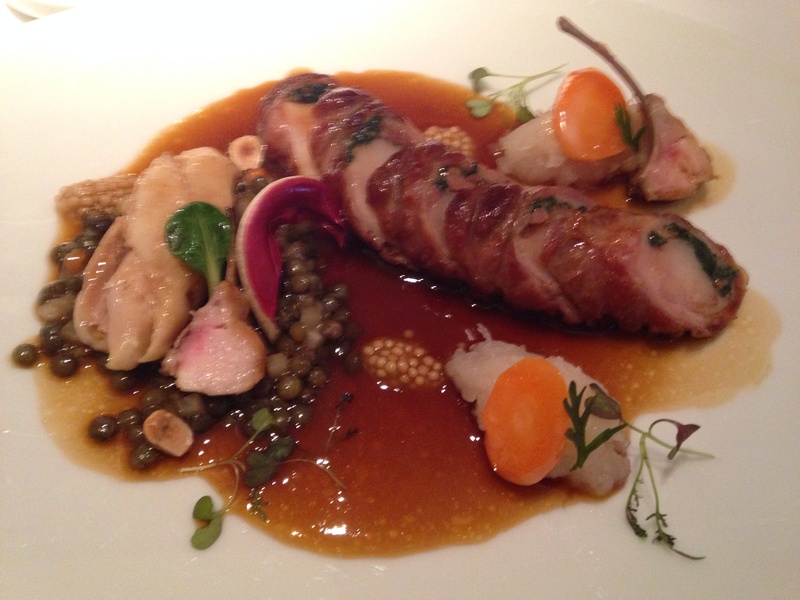 Confit leg lay proudly on tender lentils, whilst teeny racks served as a remainder of the animal on the plate. The sauce, a deep glossy thing of dreams, held everything together and pickled mustard seeds popped and provided heat and contrast. It was cooking of the highest order. Desserts were a highlight in a meal of highlights. 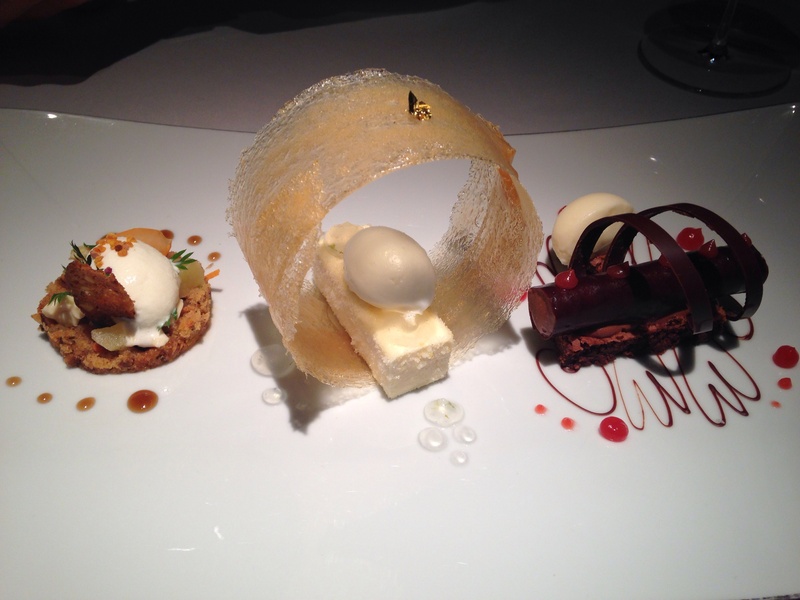 An assiette showcased all five of the sweets available on the a la carte menu, the stars being a lemonade parfait with sheep milks sorbet and a smoked chocolate cigar with blood orange and cardamom ice cream – both of which could grace any table, anywhere. A peppermint souffle of perfect consistency arrived with a silky dark chocolate sorbet, the two combined echoing After Eights. 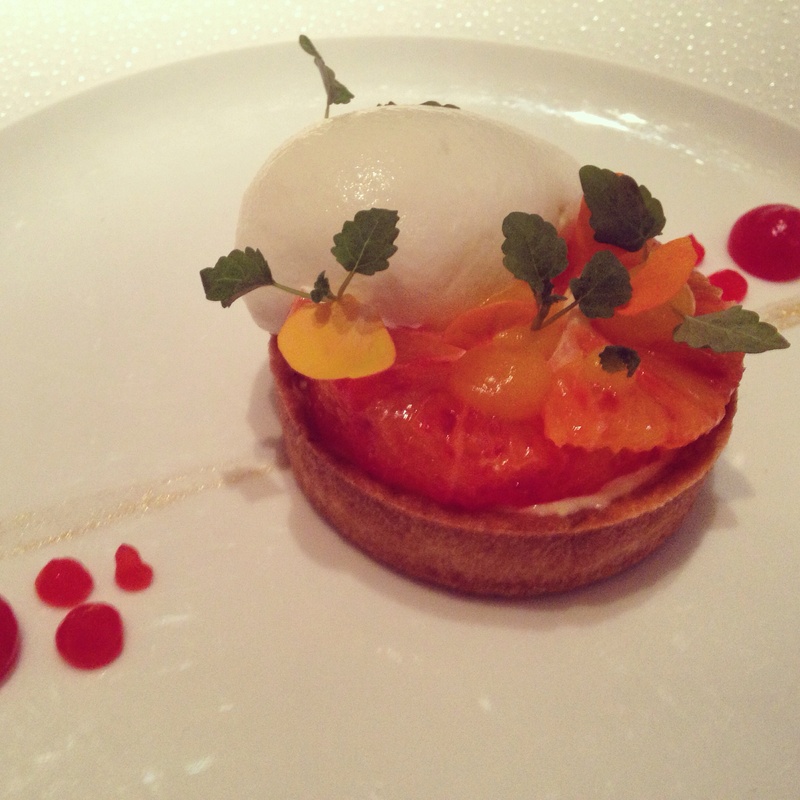 There was a faultless mini version of the Ramsay signature tarte tatin, and a carrot cake that didn’t taste much of carrot. All of these made my dessert, a dainty custard tart with blood orange and mascarpone sorbet, seem a bit of an afterthought. 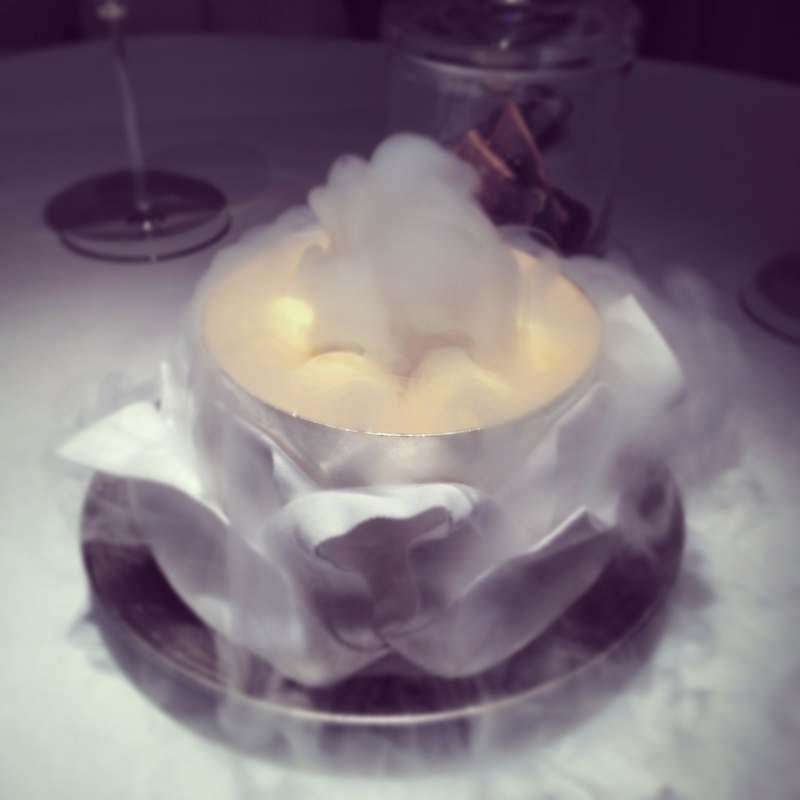 A bit of whimsy finished off proceedings as clementine ice cream dipped in white chocolate was served in bowl overflowing with dry ice. 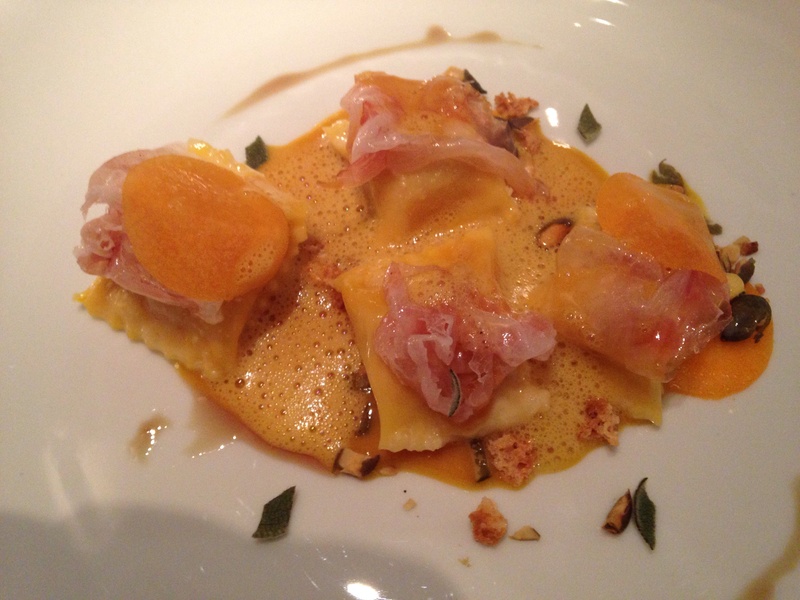 The service was even better than La Gavroche, which is a phrase I never thought I’d say. It was both friendly and concise, with the level of professionalism you would expect from a restaurant with such accolades. A meal here doesn’t come cheap – between the three of us it would be mortgage payment back home – but nor should it; the brigade of staff (a total of thirty, as opposed to 42 diners) and the raw produce come at a price. Both Michelin and The Good Food Guide consider it to be the countries finest and I have to agree with them. 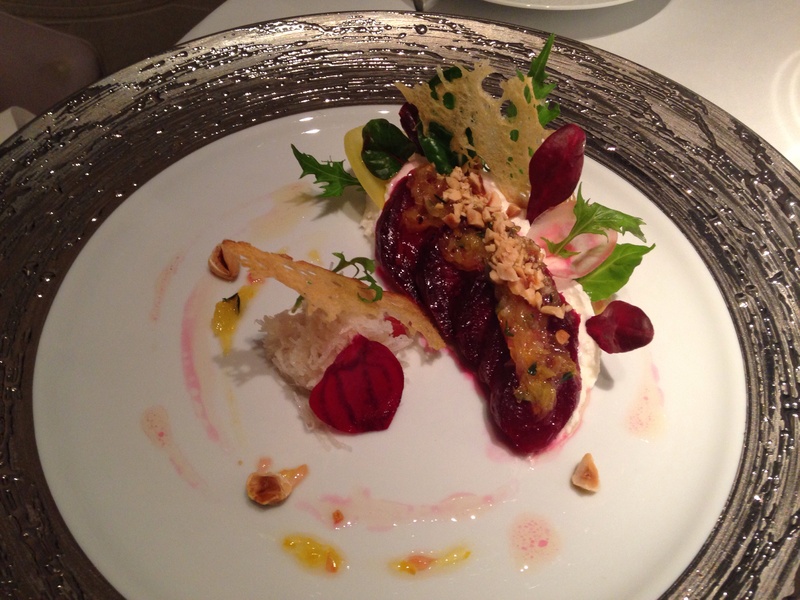 Restaurant Gordon Ramsay is up there with the very best.